This just released new pack from Cr2 contains a huge 979MB of material and is packed with dark and sinister bass hits and deep rolling bass loops, deep synth hits and loops and their collection of drum hits. 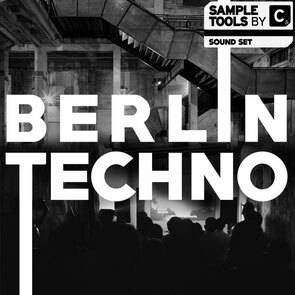 There are 40 driving techno drum loops all exported into constituent parts for ultimate flexibility, with their FX sounds ideal for anybody looking to put the finishing touches to any techno production. Each and every melodic file is also included as a MIDI file to make changing sounds or building new melodies and arrangements simpler. Also included is 70 NI Massive and 100 Sylenth presets made up of sounds used in the pack. You can use these presets alongside their MIDI files to build your own custom loops or easily tweak them to form your own exclusive patches. It’s out now on Beatport, priced at £15.99.